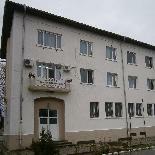 HCDPC “Petar Dimitrov” is a service unit in the municipality of Petrich system for raising and educating children deprived of parental care from I to XII (XIII) grade. In the specialized care institution is taking care and creating favorable conditions for normal physical and mental development of children and their socialization from an early age in society, conditions for development of their personality according to their abilities and interests, conditions for each child to self-organize to create forms of abritariness and take part of them. It’s carried out continuous care and individual approach to the needs of each child in an environment close to the family. 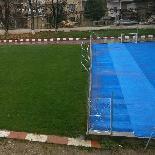 On 12/04/2012 HCDPC the capacity is 50 places, of which 45 are occupied. In the Home are accomodated semi-orphans, neglected children and children from remote locations over a distance of approximately 20 km., who have no access to school. Children who are accomodated in the Home are using social services “Weekly care”, “Institutional care” and “Day stay”. There are crated good conditions for living and self-studying for our alumni. Staff works together as a team to correct moral and ethical education for the advancement of children as complete individuals in our society. Children attend lessons regularly and together with educators they show concern for their self-quality. Everyone is aware of his role in the development of the other as a person. That’s why , children believe that we can all change our lives and depends from us how we will do it Unfortunately, needs of children, accomodated in specialized institutions are huge. for Kitchen – preparations for washing the dishes, cleaning surfaces in bedrooms and halls, dining room and more.